Urethane front control arm bushings are full floating and nonbinding. In the front they maintain proper camber and caster alignment and give quicker turn-in response. These are a great upgrade for tired, soft, and worn out original rubber bushings that may never have been replaced! 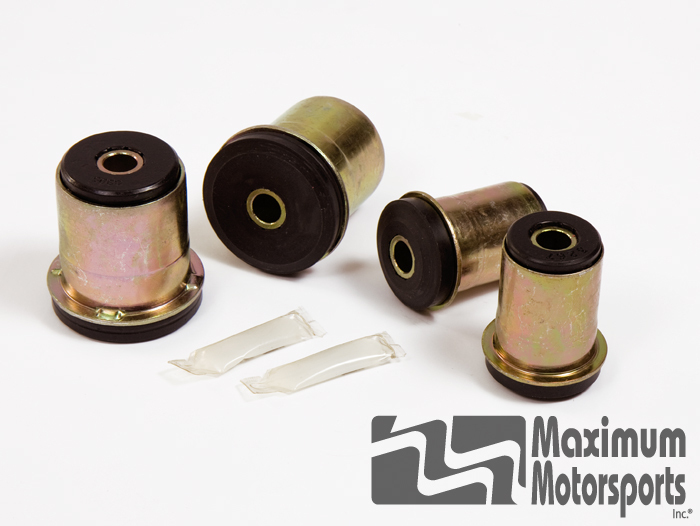 These bushings are installed after removing the factory bushings and shells. These are more complicated to install and position correctly, and are recommended if you have damaged shells, or accidentally removed the shells before installing bushings that require leaving the shells in place. The new bushings will have to be installed to the correct depth to prevent changes in caster, and smooth installation.